"Death of hope" may not be listed on many coroners' reports, but if you are trying to identify the killer causing an alarming increase in mortality and morbidity in middle-aged white Americans with a high school education or less, it's a prime suspect. Mental health affects physical health, and there is a lot for this population to be depressed and anxious about--with few resources to change the outlook, and nowhere left to move to look for better opportunities. In an April report releasing a deeper analysis of their disturbing 2015 study, Princeton economists Anne Case and noble laureate Angus Deaton found that the problem goes beyond the lethal increase in deaths from drugs, alcohol and suicide. Deaths from all causes are up in both men and women--but only in the United States. "Life expectancy has been the pulse we use to tell us how a country is doing. 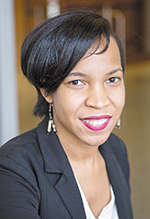 Judging by the vital signs we are seeing in this report, the U.S. has a problem" UAB sociologist Nyesha Black, PhD, said. "The increase in deaths isn't happening in other affluent countries with large populations of European descent. They faced the same economic challenges from a worldwide recession and job displacement from globalization and automation, but their mortality rates are improving." A case in point is the divergence in U.S. and German death rates. 15 years ago, mortality rates in less educated middle-aged caucasians in the two countries were virtually the same. Today, those in America are 45 percent more likely to die before their time. Out of every 100,000 in population, there are 125 more deaths in the U.S.
What is killing so many Americans? In the preliminary report that came out in 2015, the study authors identified the three most obvious increased causes of death as drug overdoses, diseases related to alcoholism, and suicide. However, of the 125 additional deaths cited above, only 40 could be attributed to the big three. The remaining 85 were more difficult to explain. The authors of the study are working with a model of cumulative disadvantage to make sense of the numbers. What this demographic group has in common is long-term unemployment, underemployment, and lack of resources. This economic instability has translated into a difficulty forming stable relationships that could provide emotional support. This segment is waiting later to marry and start families, and if they do marry, their relationships are less likely to survive. Economics are a big part of the equation, but it's about more than money. White men in low skill jobs still earn 36 percent more on average than their black counterparts, but death rates in black people have declined to the point that rates in the two populations have converged. Years of disappointment take their toll. When people reach middle-age and realize their lives aren't turning out as they hoped, and they see no way to change the outlook for the better, they may either give up hope or turn to other ways to ease the pain that aren't healthy. The same stresses that lead to drugs, alcohol and suicide also influence the immune system, heart disease, cancer and obesity-related disorders like diabetes and hypertension. Without insurance benefits from a job or the income to buy insurance or pay for basic care, diseases are less likely to be detected early. Even with good insurance, a colonoscopy can cost $400 or more out of pocket. For people who can't find a job, choosing between a health screening and feeding their children is no contest. A lack of resources is also making bad problems worse. 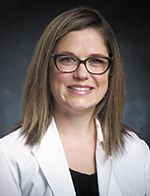 As UAB psychiatrist and addiction recovery specialist Cayce Paddock, MD, pointed out, drugs can kill in more than one way. "We're seeing people drop left and right from drug overdoses here in Birmingham," she said. "According to coroner's reports, between January and September of last year, heroin/Fentynal deaths were double the suicide rate in Jefferson County. However, people are also sharing needles and we're seeing a spike in hepatitis C infections. HIV rates could also go up. When people inject, they aren't thinking about clean conditions. They are thinking about not feeling bad. The germs they inject can cause abscesses, sepsis, and endocarditis that may send them into heart failure." Though drug deaths are happening in every demographic group, those with only a high school education or less are particularly at risk. They often work in jobs where accidents, back injuries and repetitive motion injuries cause pain. A hospital stay or visit to the doctor may come with a prescription for an opiate. "A while back, doctors were criticized for not adequately treating pain," Paddock said. "So they started prescribing more of the newer drugs that didn't seem to have the same side effects as older drugs. As we know now, some of these drugs were more addictive than we realized, and some people can become addicted much faster than others. Doctors are now cutting back on writing prescriptions for opiates. In patients who aren't already addicted, that could be the best decision. However, when addicts are cut off from prescription drugs without alternatives, feeling so bad sends them to the streets for relief. "Here in Alabama, heroin is being cut with manufactured Fentynl which is 20 times stronger. Pills that look just like a Percocet can be so much more powerful that people can easily overdose and die," Paddock said. "Another problem is that it has been very difficult to get in-patient coverage for opiate rehab because detoxing doesn't usually outright kill you, though you may wish you were dead. But what happens when we only detox people who don't have the resources to cover rehab themselves is that they are left without anything in their tool box to fight back--and their tolerance is lower, A dose they could have handled before can now be deadly," Paddock said. How did we get here, and why is it only happening in the U.S.? In short, it's complicated. Even the authors of the study say they are perplexed by the many influences that contributed to this trend. Finding a way to reverse it may be even more difficult. To understand what is going on, two things a sociologist would likely examine are how the social structures differ where this problem is happening and what was going on in the society just before the problem began. "Though other countries where mortality rates continue to go down have the same gene pool and the same global economic influences, they have different forms of government, different healthcare systems and different social safety nets," Black said. "We need to understand what is working for them that isn't working for us. "There is usually a delayed impact on populations as macro changes in policy and economics ripple through a society. Mortality rates began to rise in 1999. So what was happening just before then? Globalization and the transition from an industrial society to a technological society were beginning. An upswing in automation makes more low skill jobs obsolete every year. Mining jobs disappeared as demand for coal fell. Most of all, our government made the decision that our country needs high paying technology jobs, not low skill, low paying factory jobs that can be done by anyone, anywhere. "Trade agreements were made based on this decision. The thinking at the time was that some of the profits from moving manufacturing to cheaper labor markets would be reinvested through tax policy to retrain citizens displaced by the decision so they could move to technology jobs. That didn't happen." Now the problem has spread to every region in the United States. The geographic divide is between rural and urban locations. The greater the distance from an urban center, the higher the death rates are becoming. Isolation and distance from resources may figure into this. Though a college degree has been protective so far, there are subtle signs that what is happening in high school educated populations is only the first wave of more to come. "We hope college will have given people skills to make them better at adapting and retraining, but there is already pressure in the job market. Recent graduates are having a harder time finding jobs," Black said. "We know that lawyers in India are training in American law so they can offer basic legal services online. Advances in medical technology may affect jobs in health care." With telemedicine, doctors can see patients across town, or from a whole hemisphere away. New York trading firms are already using computer algorithms to make trades highly-paid stockbrokers were making last year. The health of a society is only as good as the health of its people. It is like an organism. If the left leg isn't getting enough blood flow to carry adequate oxygen and nutrients, the muscle begins to die. If nothing is done, the leg dies, and the entire organism is in jeopardy. "We have to get together and get expertise from every discipline so we can follow up on the data and get a consensus on how we are going to solve this. It isn't going to be fast or easy," Black said. "We have to start a comprehensive conversation--policy makers, economists, sociologists, health professionals, and the people who are our society. We need to start talking about what we have to do to get all segments of our society healthy again."